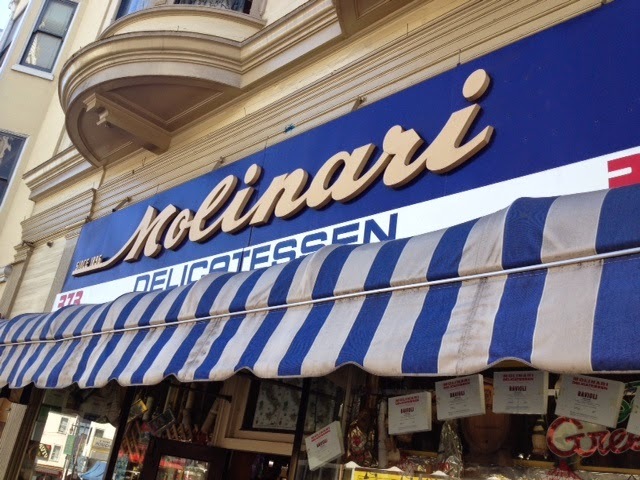 Molinari is a lovely old Italian delicatessen in the North Beach section of San Francisco. 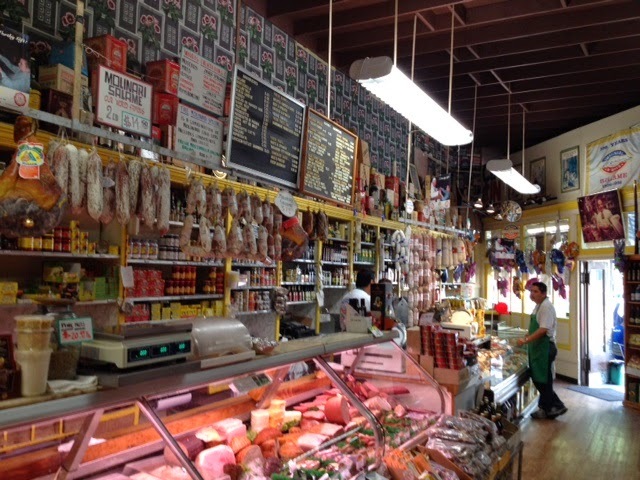 It's not much different from the sort of old Italian delis you'll find in Brooklyn or some parts of lower Manhattan. You'll find much the same assortment of Italian imports. The facade and window displays are pulled off with more art, however. It was founded in 1896 as P.G. Molinari. P.G. was an Italian immigrant who landed as a teenager in San Francisco in 1884. There he learned the trade of dried sausage making as a salume factory. The original store was at 433 Broadway, but the earthquake took care of that. 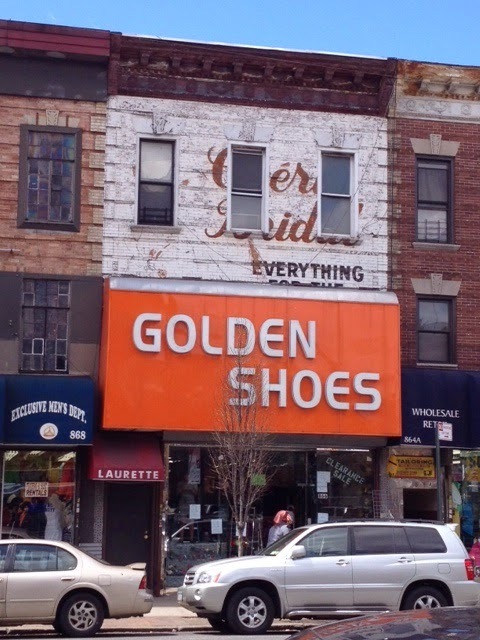 The second store opened in 1913 at 373 Columbus Street and stayed there. The facilities where all the sausage are made are elsewhere in San Francisco at a big facility, but the storefront remains. They're know for their sandwiches. One nice touch: when you order a sandwich, you have to go and pick out the loaf of bread for the sandwich yourself and hand it over to the deli man. 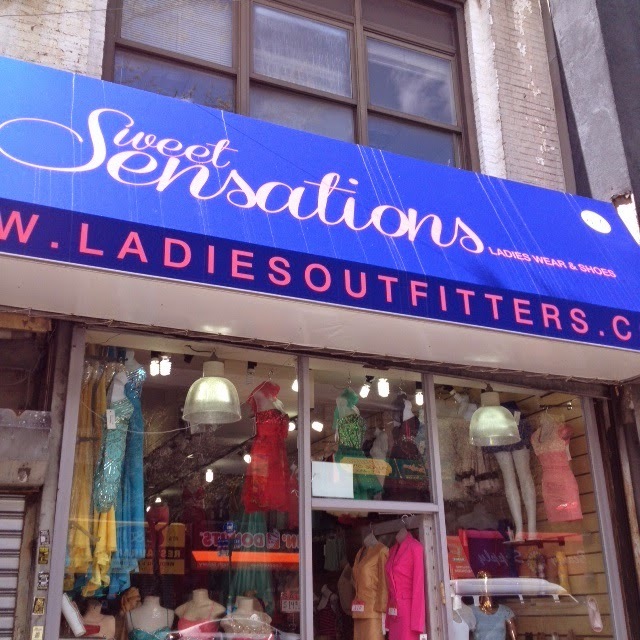 Here's a little ladies wear shop on Flatbush Avenue with an awful name and an awful garish awning. Not a place of great interest on the surface of it. Yet, the devil is in the details. Look up on the second floor of the small building and you find a curious stone ornament. The maritime-themed sculpture depicts two fierce-looking fish on either side of a seashell, their tails entwined around the sort of Triton that Neptune typically carried. I know from similar sculptures both here and in Europe, that those fish, despite their angry attitudes, are meant to dolphins. 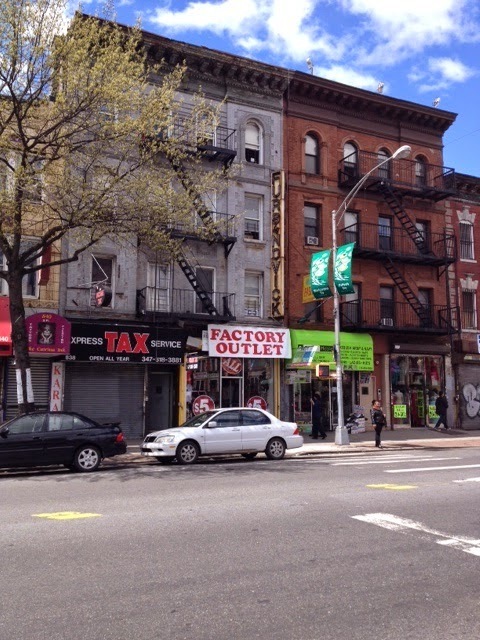 So what fishy history lies in the past of 876 Flatbush Avenue? 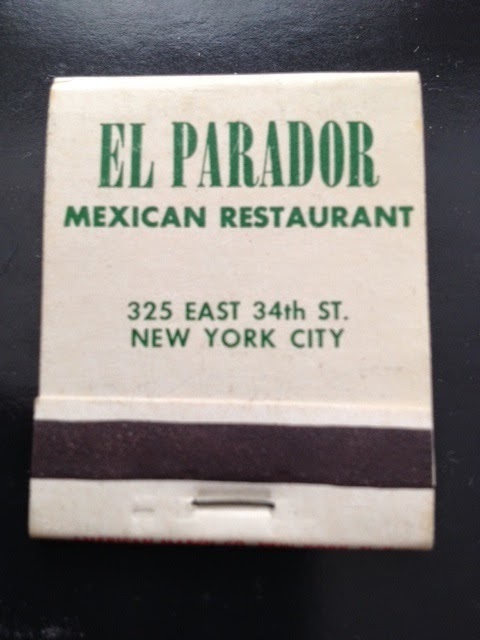 El Parador still stands on far E. 34th Street. It remains the oldest Mexican restaurant in the City. Here's an early reminder from the days when you could smoke inside. On the inside cover, the restaurant brags about its New York Times review, and let's you know that payment is in cash only! Also: No reservations! That, of course, has all changed. Here's my "Who Goes There?" column about El Parador from a few years back. 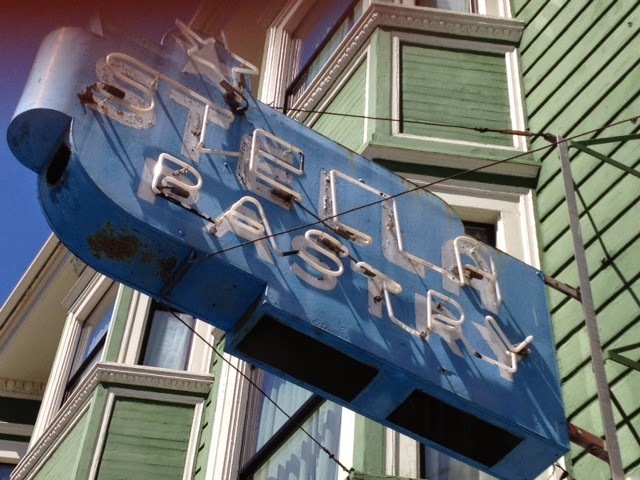 Stella Pastry and Cafe is located in the once-heavily Italian neighborhood of North Beach. It was founded in 1942. They brag they are the birthplace of the dessert Sacripantina: "a multilayered cake made with a vanilla sponge cake, zabaione (a delicate custard made with egg yolks, sweet butter, marsala and sherry wine) cream, and rum. We have a patent on the name and the unique dome shape and over the years it has become a San Francisco tradition." 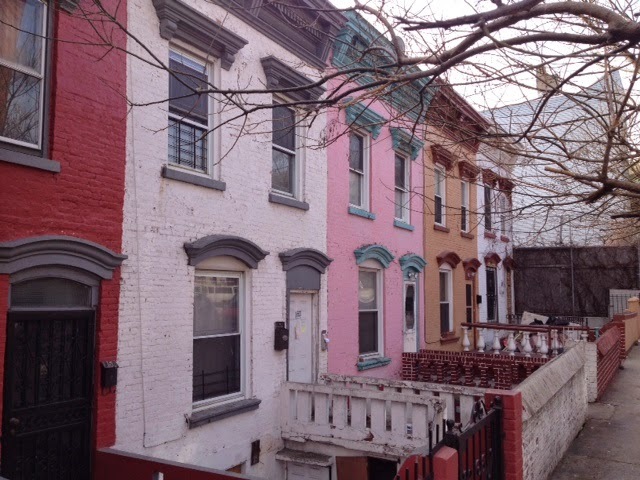 While on a recent visit to The Bronx, I noticed this string of adorable, colorful, little cottages. Given their diminutive size, and that they sit on the edge of Port Morris, a former center of industry, I'm assuming they were build as workman's cottages. They reminded me of similar housing on Dennet Place in Carroll Gardens and Verandah Place in Cobble Hill. These homes are on E. 137th Street. On one side there is an empty lot, on the other an old factory. The buildings have an interesting feature in that they all have staircases leading down to a square yards of considerable dimension. When I was there, some were filled with snow and ice. Others were filled the junk. I'm guessing the bad old days of The Bronx, back in the 1970s, these sunken cement days could have save havens for all sorts of nefarious activities. This building at 866 Flatbush Avenue in Brooklyn is conducting a double life. On the bottom half, it is Golden Shoes, a going concern. The top half, though, obscured by the windows, is a reminder of the address' former life as Opera Bridal, which had "everything for the"....something. The upper sign is far more charming than the lower. 128 Montague Street is presently occupied by Vegetarian Ginger. It's one of those lovely upstair joints peculiar to this street, in which you walk up a demi-staircase to get to the restaurant, which is a half-story above the sidewalk. 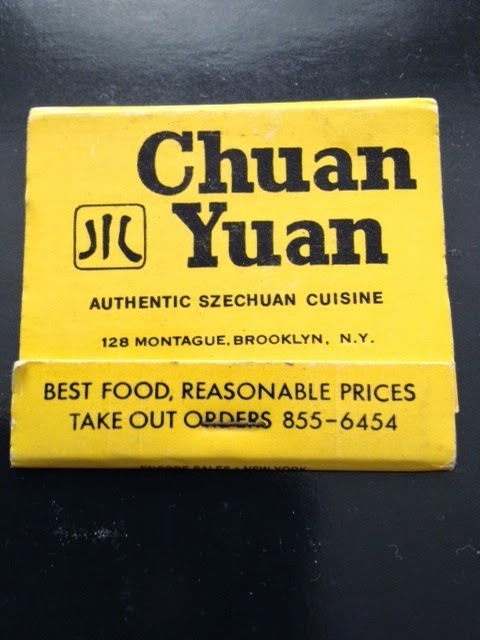 Chuan Yuan closed—along with a lot of other small businesses—in the mid-80s, when genius Montague landlords decided to jack up rents. 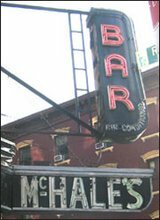 Back in 2008, I posted about some of the delightful old signage that can be found on Flatbush Avenue, including the stubborn vertical neon sign for Furs By Novick. More than six years later, I'm happy to report that no one's bothered to take down Novick's handiwork. 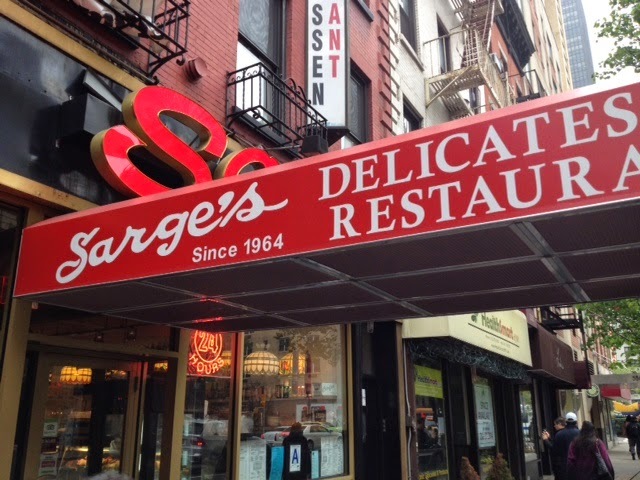 It took me shamefully long to get back to Sarge's Deli, which reopened March 6 after a 15-month closure caused by a fire that broke out in November 2012. I should have been there at the door the day they turned out their first sandwich. How many services can you mention in the signage of an eight-foot-wide storefront? 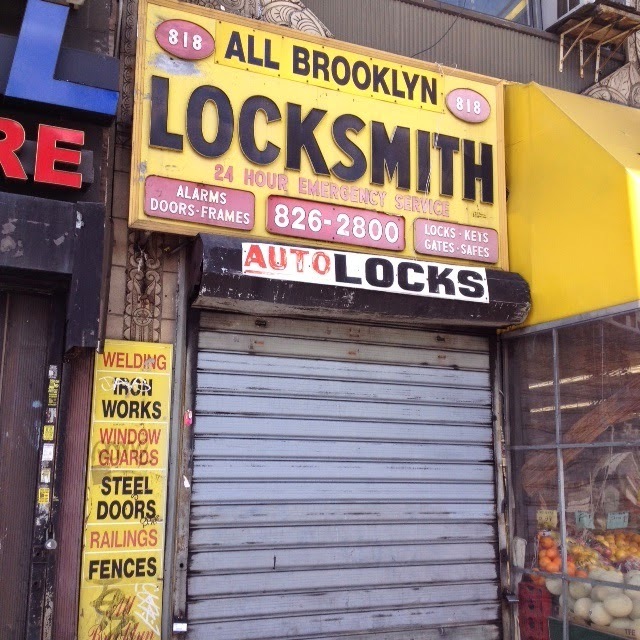 Not as many as All Brooklyn Locksmith does! A unique, if unsung, corner of history in what used to be called South Brooklyn (now Cobble Hill) has been wantonly destroyed. One of the more prominent former convents stands at the southeast corner of Kane and Henry, opposite P.S. 29. The buildings were part of a convent called the the Nursing Sisters of the Sick Poor/Congregation of the Infant Jesus, an order which began in France. They devoted their time to caring for the sick, looking after their homes and giving them medicine. The nuns used to hold dances to raise money. According to my records, the buildings were built in 1906. 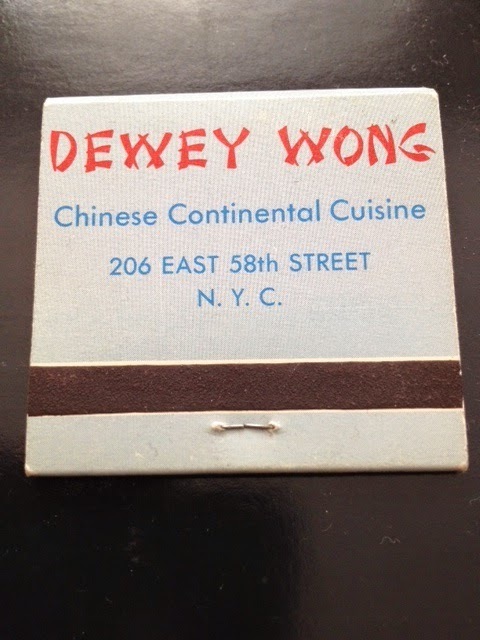 From the era of fabulous midtown Chinese restaurants, we get this matchbook from the lost Dewey Wong of E. 58th Street, between Second and Third. 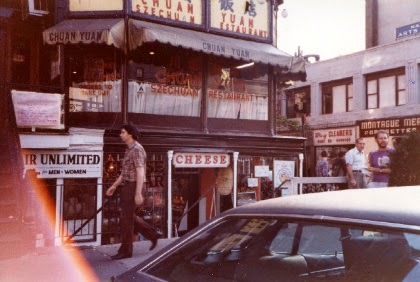 There were enough restaurants on that block in the 1960s for it to be called a restaurant row in the 1960s It advertised itself as "fine Chinese cuisine in an luxurious atmosphere." 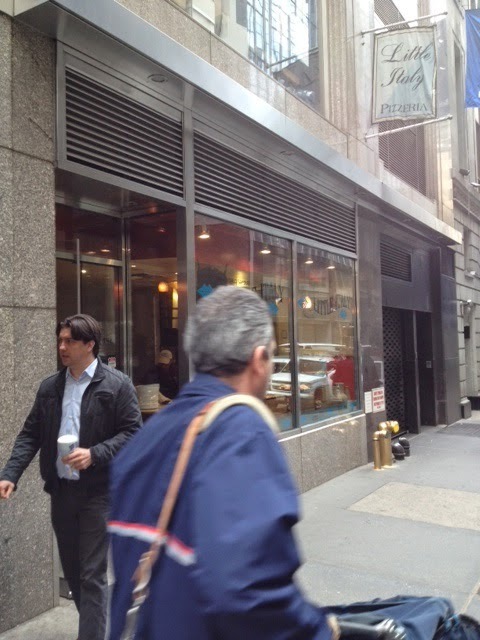 It was described as a "new" restaurant by the New York Times in 1969, so it probably opened in the late '60s. It served "conventional" Chinese food. Mr. Wong is still alive; he has a Facebook page. Now, on the website for Gaspere's, a pizzeria in the Richmond section of San Francisco, it says this family restaurant opened in 1985. Does that facade and that sign look like it was put up in 1985? Not to me. Both of the signs light up at night. 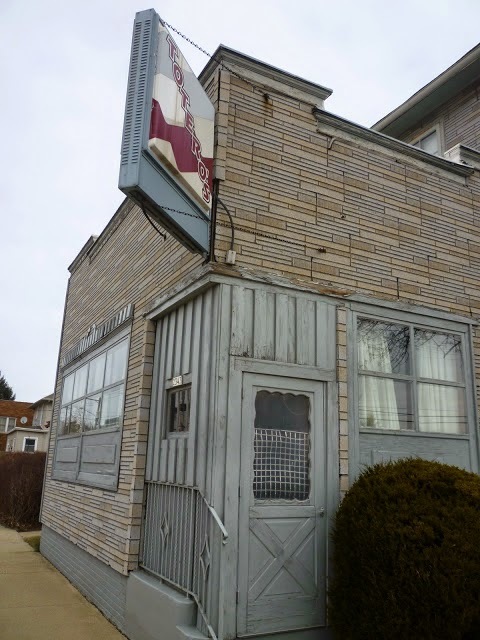 Totero's, a priceless, one-of-a-kind Italian restaurant in Racine, Wisconsin, that I just discovered a couple years ago, is going to shutter on June 26 after 75 years in business. Totero's was founded by Calabrian immigrants Achille and Mary Totero as a tavern in 1939. It was subsequently run by their son Santo "Sam" Totero and his wife Virginia, and is still run by Sam's children Al and Angela. Al runs the bar, Angela the kitchen. Sam died in February 2011 at the age of 89. The building is a converted schoolhouse. The 36-foot bar was contributed by the Pabst brewery back during The Great Depression. Albert and Angela Totero have decided to retire. "It’s just been a long, hard road," they told the Milwaukee Journal-Sentinal, "and it’s just time. The place is old, and it needs some work." Their children have their own professions and don't want to take over. Totero's is one of the most unique places I've ever had the pleasure to visit. As I said in my 2012 post, "There is often a line, for this 72-year-old, family-run restaurant is only open Tuesday through Friday, and even then for just two hours, from 11:30 a.m. to 1:30 p.m. The peculiar schedule harkens back to Totero's roots as a lunch place serving the working men in the area. There used to be dinner hours, but they were eliminated a number of years back. Despite—or maybe because of—the limited window of opportunity, Totero's packs them in. People take the time to visit in the middle of the day, queue up and load up on homemade, hearty Italian fare." Little Italy Pizzeria on W. 43rd off Fifth Avenue in Midtown doesn't look particularly historical. However, the independent business is actually nearly a half century old and perhaps the last existing link to one of New York's most storied hotels. New York rips down and disposes of its history with such efficiency that sometimes the only evidence that a business, restaurant, bar ever existed lies it the flotsam and jetsam it produced whilst alive. Matchbooks for instance. In my years of research, I've spent a good amount of time chasing down the relics of bygone landmarks. But, more often than not, those relics—menus, ashtrays, glassware, plates, flatware, etc.—are gone, and gone for good. 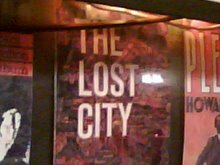 For the completely vanished restaurants and bars of Gotham, two types of relic, however, endure: the postcard and the matchbook. The Rum House bar in the Hotel Edison has not disappeared. 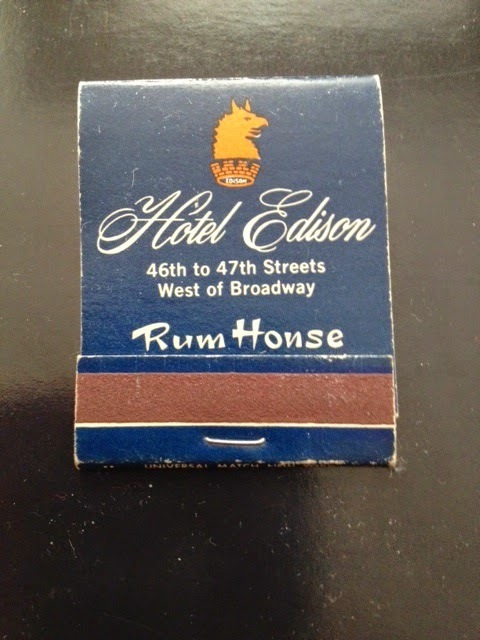 The hotel is still there on W. 47th Street, and the Rum House is in it. But the bar was renovated a few years back, and turned into a swanky cocktail bar. I don't dislike the new version. It has a good vibe, offers live music and the drinks are well made. But I still miss the dive it replaced. 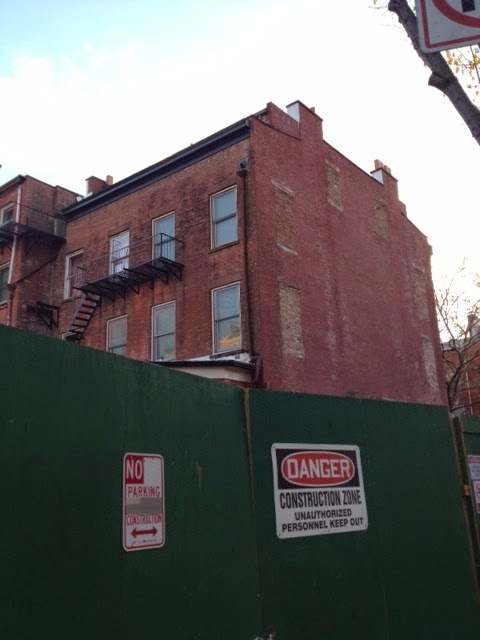 Here's proof of the old Rum House that stood in its place—and that you once could smoke there. Notice the tiki-esque font used for "Rum House." 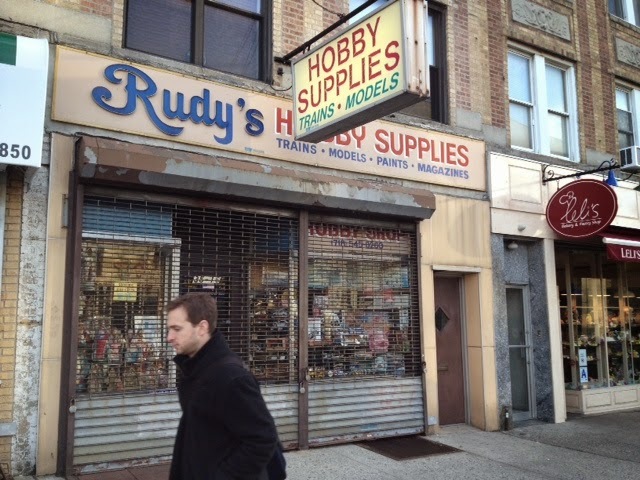 Few businesses make me think of how New York used to be, and what it's lost in the last 15 years, than hobby stores. What sane person today would try to open a hobby shop in New York today? Such businesses of minimal profitability and marginal necessity—once an option in the City's economic universe—are virtual impossibilities in the ruthless world of today where the only indy businesses that can possibly survive are high-end bars, restaurants, bakeries, boutiques and other enterprises connected to status-driven immediate gratification. There's no such thing as an artisanal hobby store. Hobby stores are incurably uncool in today's world, even if they feed an important need in humans to find an interest or skill in which they can excel in a small way and take their minds off the infinite cares of the day.